You turn the page of a collection of poems with profile so quiet, may I fall in love with you? The pink and laced detachable collars can be changed according to the mood. 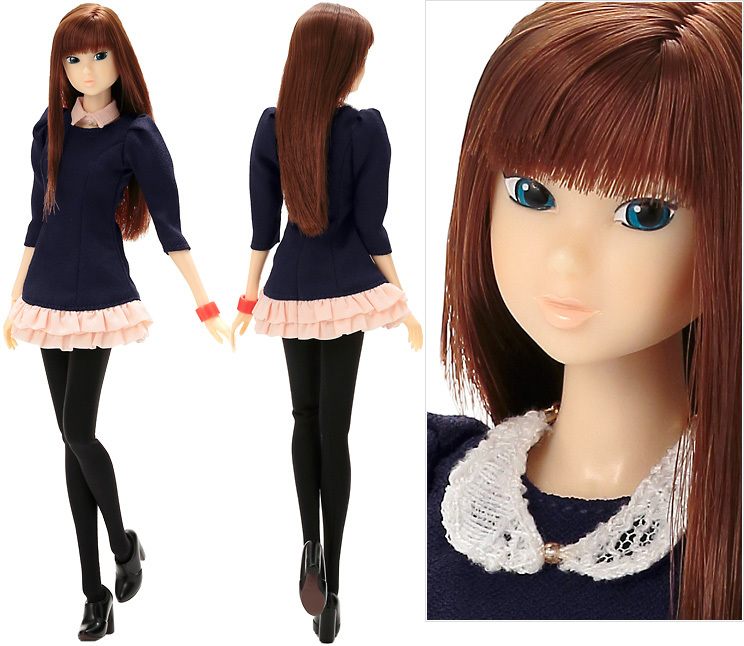 Here's a momoko doll with dazzlingly beautiful legs stretched from a neat navy mini dress.